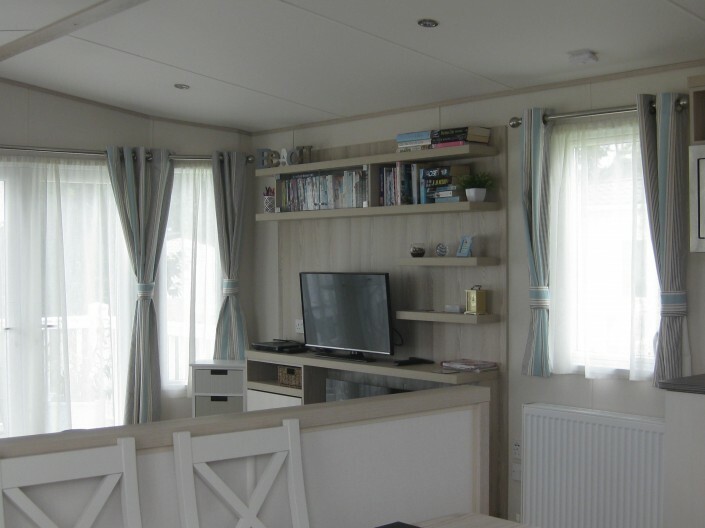 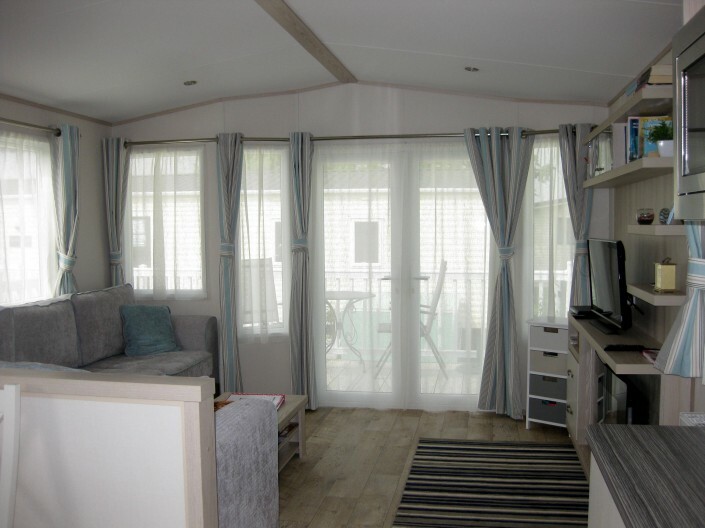 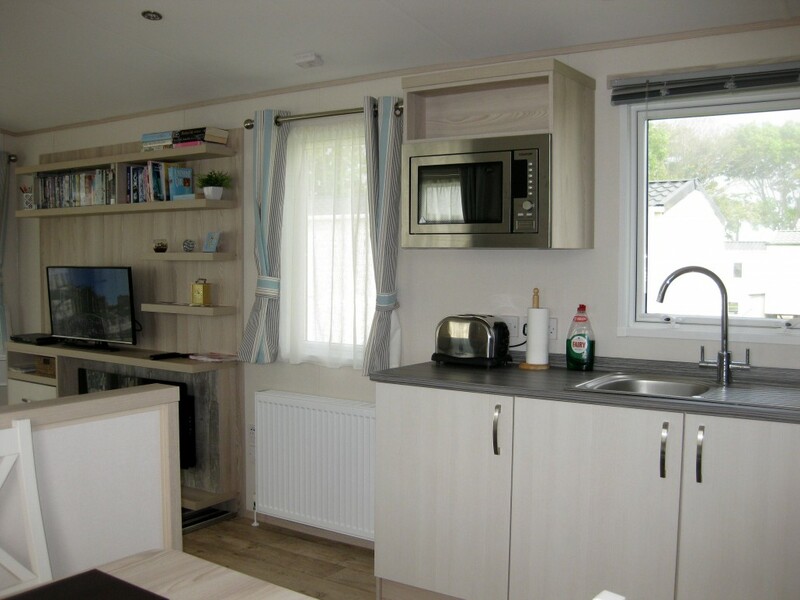 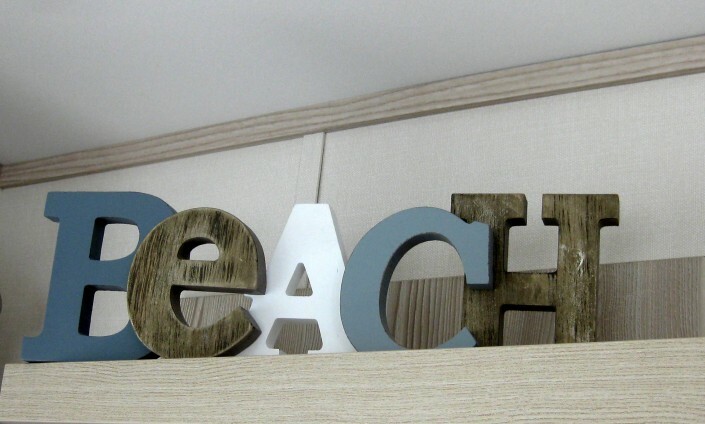 Come on in to our luxury Caravan and be prepared for a large open-plan kitchen/dining area which allows you to spend quality time with family and friends, whilst sharing meals together. 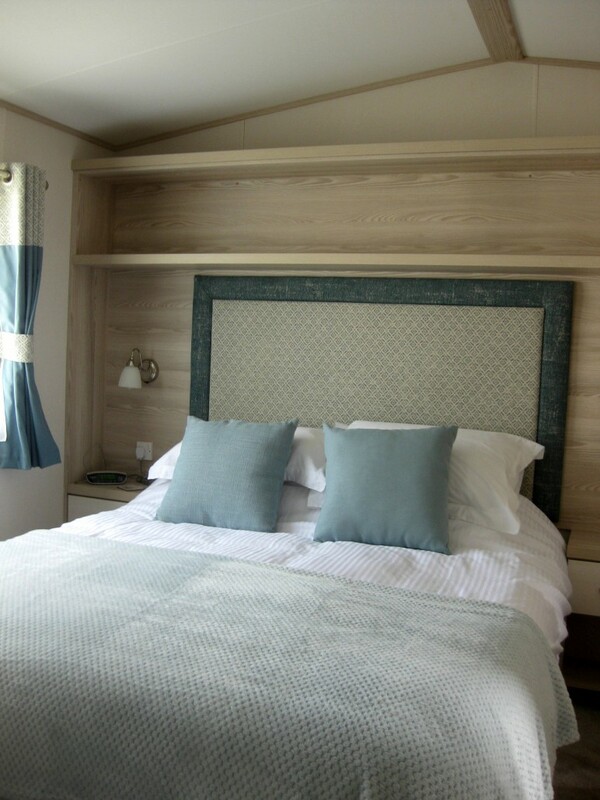 And then, on those chilly days and nights, we have central heating, keeping you cosy and warm! Our luxury 6 berth Caravan has two bedrooms – master bedroom with kingsize bed and a further bedroom with two single beds. 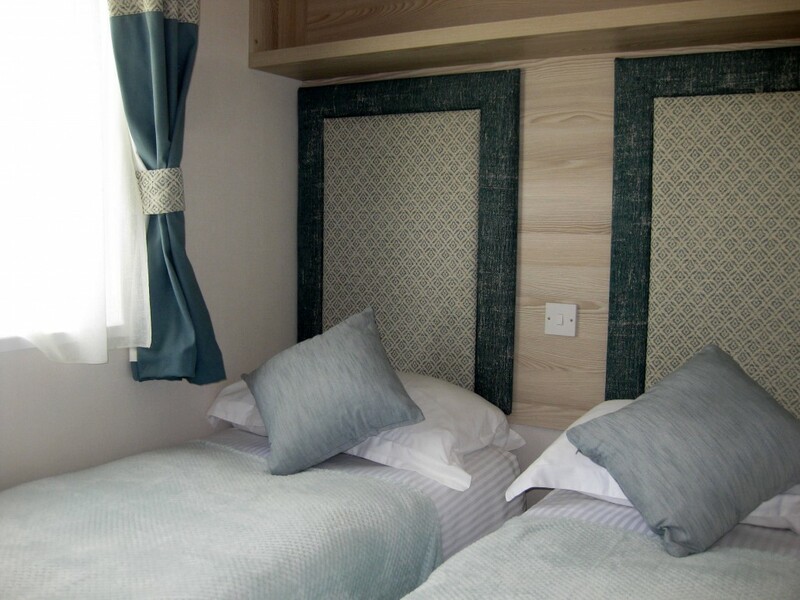 Each bedroom has a slightly different focus and both topped with crisp white sheets and luxury bedding for your every comfort! There is also a high chair and travel cot for the very young members of your family! 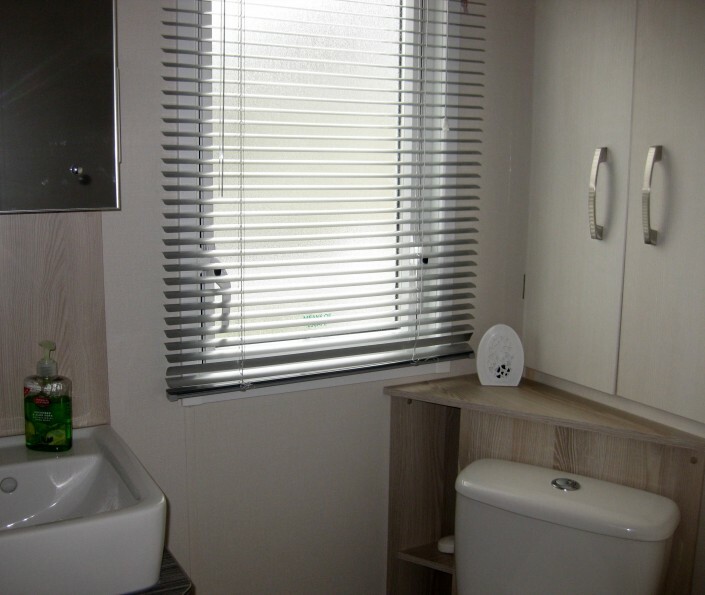 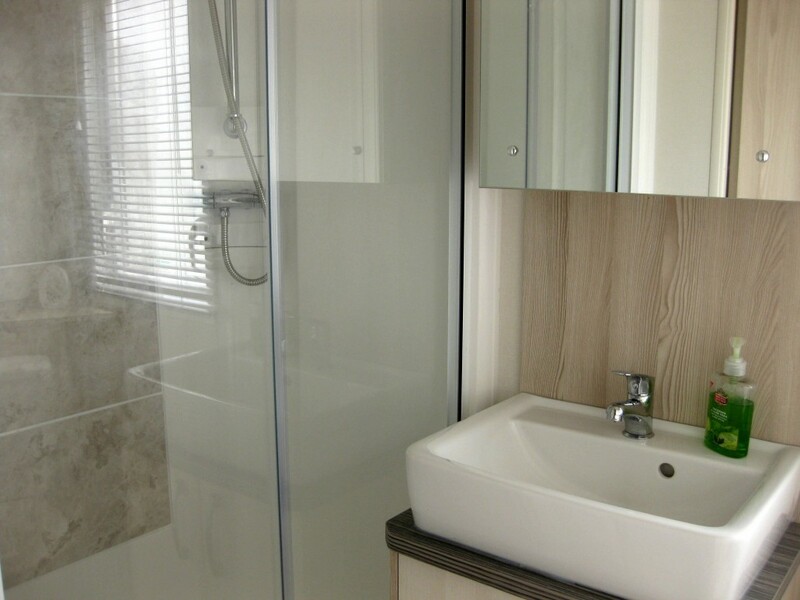 The master bedroom has an en suite toilet plus there is a separate family bathroom (with shower). The Caravan has gated decking surround facing south west, for you to enjoy the sunshine whilst having meals with family or friends or just relaxing on the lounge chairs. 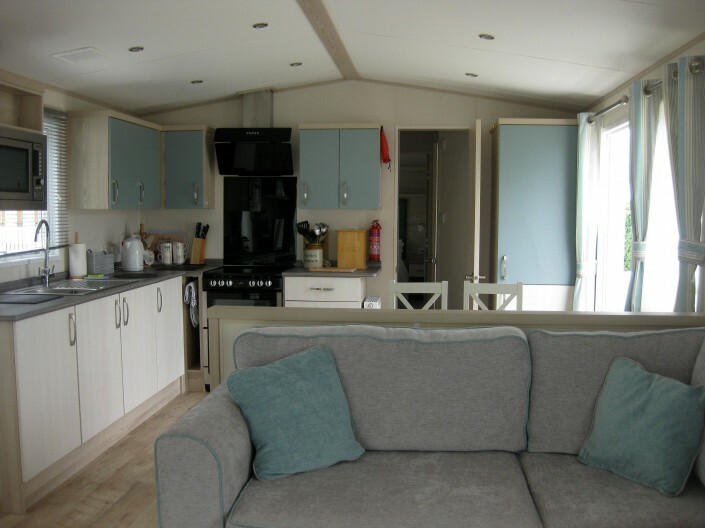 You’ll also find more chairs and a BBQ in the storage bin outside. Just by the Caravan there is plenty of room to park your car. kitchen/bathroom basics, shower gel etc.